Welcome me Hearties to Gentlemen of Fortune: Buccaneers of the Caribe (based on Pirates of the Caribbean), running native on Buccaneer’s Reef Maelstrom Engine. Start playing it in the improved engine with no crashes and far improved graphics; play this game the way it was meant to be played. This download contains the script mods and game assets. In order to play, you must use the newest Maelstrom Engine (click the link to get it). This is an unrelated, yet improved version of Pirates of the Caribbean. It contains everything to play Buccaneers of the Caribe, which is based on the original Pirates of the Caribbean game. NOTE: No real history with this mod, and it therefore has NOT been fairly tested on Maelstrom. The game starts, new games established, save/load save works. That's as far as we can vouch so far. Original Base Game: AGE OF PIRATES 2 – City of Abandoned Ships; Licensing sold and owned by other third party(s). Original Source Code (freeware) which ran in DirectX 8 was given away freely eight years ago and completely rebuilt and overhauled by the Buccaneer's Reef team. 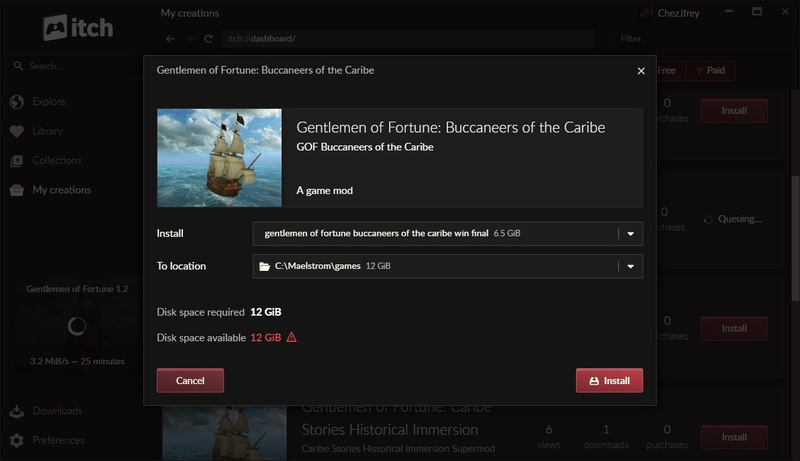 This is completely new source code which is now capable of running all the older games based on POTC (Storm 2.0) and Caribbean Tales (Storm 2.5), plus the newer based on City of Abandoned Ships (Storm 2.8), but now in DirectX 9 and 64 bit, if desired, to which all rights are reserved by the Buccaneer's Reef Team and official legal licensing pending. You will need the Maelstrom Engine (click the link to get it) to run. Please see MaelstromSetup.pdf in that engine download for how to set up the game on your system.